Are you Sale-a-brating yet? Don't forget that besides the free items you get with every purchase of $50 in merchandise, you can also purchase the starter kit for an amazing $125 - and choose what you want for pretty much everything in it! So if you already have a lot of stamping things, you can pick and choose what you would like in the kit. There's no obligation to do anything else. Just getting the great deal on the products is worth it! I also wanted to let you know that I'm having a 10 for $20 class this Saturday, February 25 at 1:00 PM at my house. In this class you will make ten cards (two each of five different designs) that you can customize for whatever occasions you have coming up. I will be showcasing a lot of the Sale-a-bration items and new items from the mini catalog, so you definitely don't want to miss out on this! I have a few spaces left, so contact me right away if you want to come. You can e-mail me at jayne@jaynestamps.com if you're interested. We always have a great time - come on over and join the fun! I do have some samples to show you today using another great stamp set in the Sale-a-bration catalog -- Sprinkled Expressions stamp set. It's such a cute set and so versatile! Hmmm... I seem to be using that word "versatile" a lot lately! I looked up some synonyms for versatile. Maybe I should start using some of those like able (nah), accomplished, adaptable (possibly), adroit (really? ), all-around, all-purpose, ambidextrous (definitely not for a stamp set! ), facile (use that in a sentence), functional, many-sided, multifaceted, putty-like (I like that one! ), ready, skillful, varied... and those are just a few. I think I'll stick with good old "versatile" for now. I mean, you know what I'm talking about when I use it, right? I don't have to get all highfaluting on you. So, on to today's samples. I have one for each of the three main images in the set. Each one also has a coordinating saying for a total of six stamps in the set. This pretty in purple card was made by Gwen Duckworth. I like how she tore a strip of the Flirtations Designer Fabric to tie around the center image. That fabric is also one of the things you can choose for a free Sale-a-bration item. 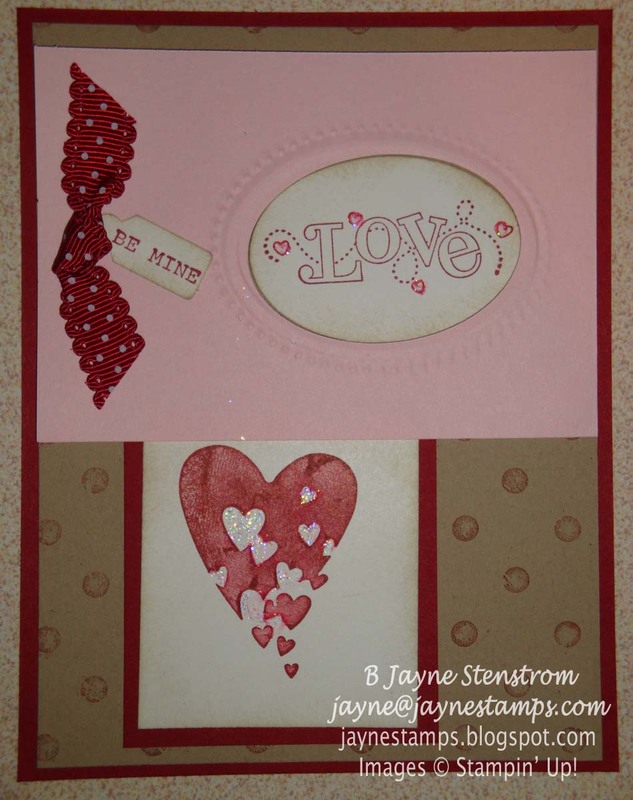 This heart card was made by Lisa Fast. 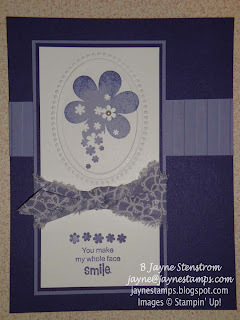 Besides the Sprinkled Expressions, she used the Outlined Occasions SAB stamp set. 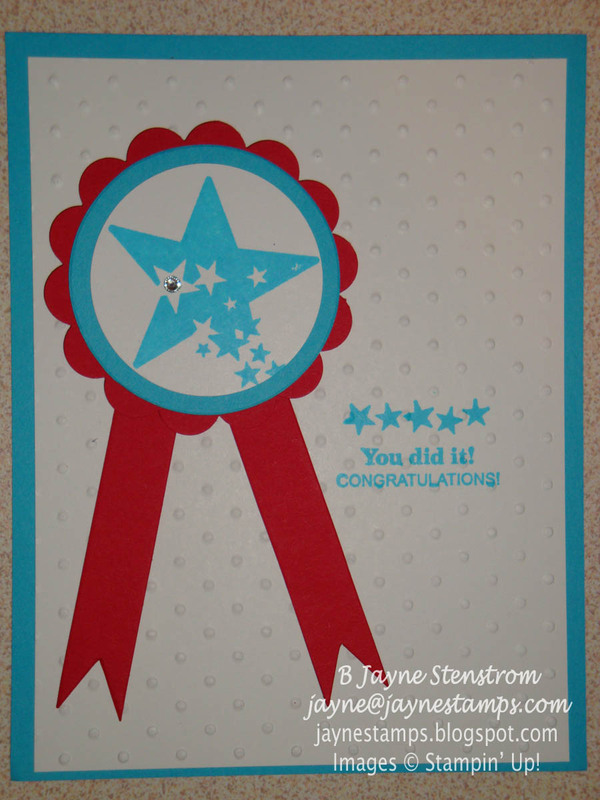 Did you notice that both Gwen and Lisa used the Designer Frames Textured Impressions Embossing Folders on their cards? That's because that is another item you can choose for your free Sale-a-bration product! We just keep spreading the love! 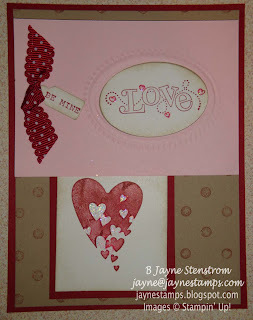 Love of stamping, that is! 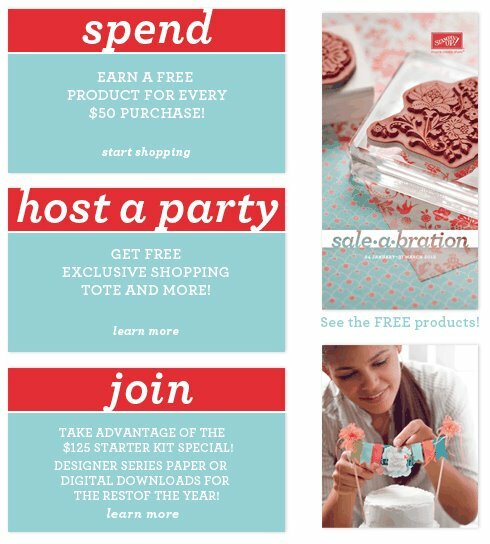 And don't forget about my stamping class this Saturday. If you can't make it and would REALLY like to attend a class like this, if you get at least six people together I will bring the class TO YOU. Contact me for more details!